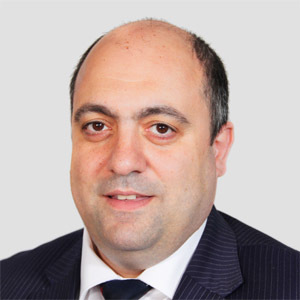 Anthony Antoniou trained in medicine at Cambridge University and embarked on specialist training in the South East Thames region of England. Anthony spent two years in full time research at The Institute of Liver Studies at King’s College Hospital, London, where he was awarded his MS degree. He was a Senior Registrar at King’s College Hospital and completed his training at St Mary’s Hospital as a laparoscopic fellow. Anthony was then appointed as a Senior Clinical Lecturer at The Institute of Cancer Research with an honorary colorectal consultancy at both The Royal Marsden Hospital and Chelsea and Westminster Hospital. Anthony was instrumental in setting up the colorectal unit at The Royal Marsden Hospital focusing on the treatment of primary colorectal cancers as well as complex colorectal cancer surgery. While he was a Senior Clinical Lecturer his research interest focused on the application of metabonomics in colorectal cancer and the potential of its application in personolised medicine. After completing his five year post as a Senior Clinical Lecturer, Anthony was appointed as a colorectal surgeon at St Mark’s in 2013. He is also an Honorary Senior Lecturer at Imperial College, London. Anthony’s clinical practice encompasses all aspects of colorectal surgery from laparoscopic colorectal cancer surgery to the treatment of benign perineal disease. His main subspecialist area of expertise is in recurrent and complex cancer surgery. His practice deals with the treatment of local patients, tertiary referrals from around the UK and international referrals. He has strong commitment to training and education and many students and junior doctors have benefitted from his teaching. He has supervised fellows studying for higher degrees at Imperial College and he has published and presented widely on colorectal and intestinal diseases.